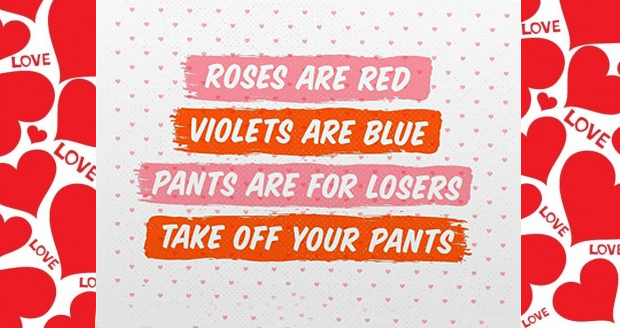 This Take Off Your Pants Valentines Card is not only a great gift for your partner, it’s also a wonderful icebreaker if you’re chatting to strangers on the bus and you want them to remove their trousers. I keep a stack of these by my own bedside cabinet to remind me to take my pants off every night at bed time, because I am a very good boy. I suppose it’d also come in handy if someone’s legs were on fire. Wow, a multitude of uses for such a hilarious card.